There’s a lot of buzz about social media these days, and for good reason. What better way is there to show off your quirky, casual side while marketing your business for low (or even no) cost? But with the world all a-twitter about Facebook and…well, Twitter, we think there’s a social media network that you’re likely missing out on. You may have heard of it. It’s called Pinterest. Before you brush it off as “something your wife/girlfriend does in her spare time” or “just another website full of pictures,” you ought to know a bit more about it. As it turns out, using Pinterest for business might be the perfect way to get in front of an entirely new (and powerful) demographic. 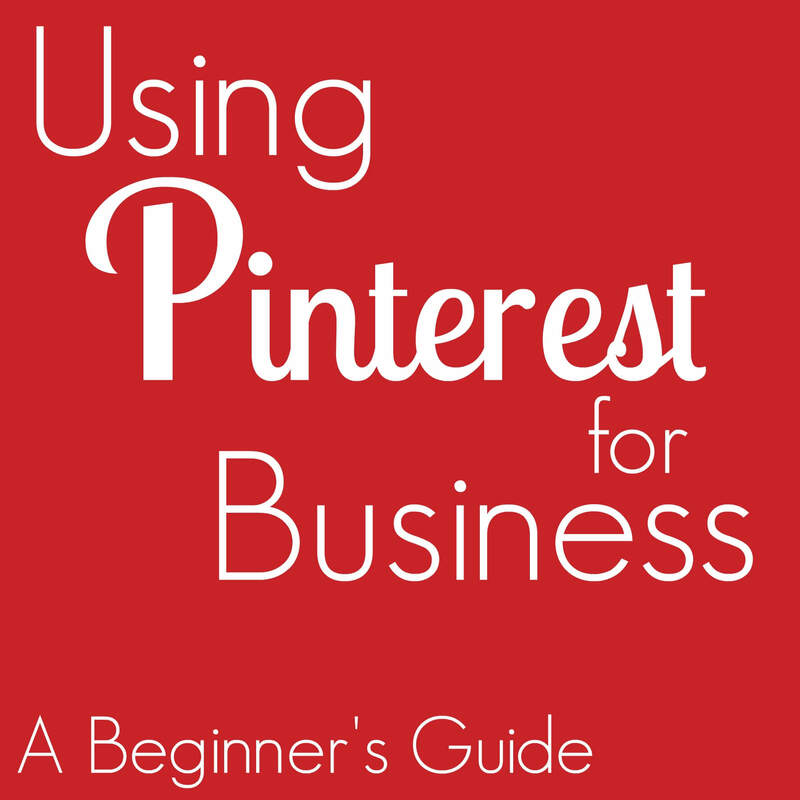 The easiest way to understand Pinterest is to jump on board and start clicking around. But a good base knowledge never hurt anyone, so basically here’s what you need to know. Pinterest is a collection of online “vision boards” that can be organized into different categories. You can “follow” other people’s boards (either all of them or just a select few) or just view a random selection of whatever people are putting on their boards. But rather than decorating your various bulletin boards with magazine cutouts, you’re decorating them with “pins.” A Pinterest pin is a picture, gif, or video preview that acts as a link to a source web page, so if you see a pin with an image of a delicious cake, you can keep clicking until you reach another website (separate from Pinterest) that has a recipe for that cake. Each of these links is called a “pin,” which is both a noun and a verb. (Ain’t English grand?) You can choose to pin to your boards either from Pinterest or directly from a website. So, whether you want to make your blog posts show up on Pinterest or you find a great link during your searches that you want to pin for future reference, you can pin it from your browser as you search. If you want to scroll randomly through pins of a certain topic (the most popular ones include “DIY & Crafts,” “Home Decor,” “Food & Drink,” and “Photography”), you can “repin” straight from Pinterest to whichever board you like. It’s a great way to curate your favorite sites and ideas, and you can have up to 500 boards. Clarity’s Pinterest account has separate boards for “Marketing 101” (marketing ideas we love), “Social Media,” “Design Ideas,” and more. My personal account has boards for “Desserts,” “Funny,” “Inspirational” (quotes that make me think), and “Baby” (because I’m creating a person who will be here in a couple of months). How is it different from other social media sites? Unlike Facebook and Twitter, there is no “status sharing.” You can post a quote that reflects your feelings at the time, or you can comment on someone else’s pin, but there’s no real way to constantly update the world with what you’re feeling or doing at any given moment. Which we think is an upside. 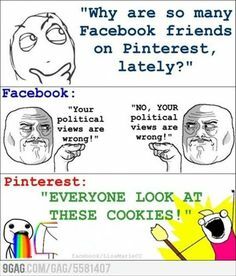 Because there’s no “free-for-all” posts allowed, Pinterest is very link- and image-heavy. Huh. That’s funny, those are the exact two things that are highly recommended for Facebook and Twitter posts, due to their increased likelihood to be clicked. Rather than covering just one type of content, pins offer a range: images, images that link back to a blog or article, gifs, and videos. Basically, any web page that has a visual medium on it can be linked back to Pinterest easily. But isn’t Pinterest all women? What about the rest of my demographic? 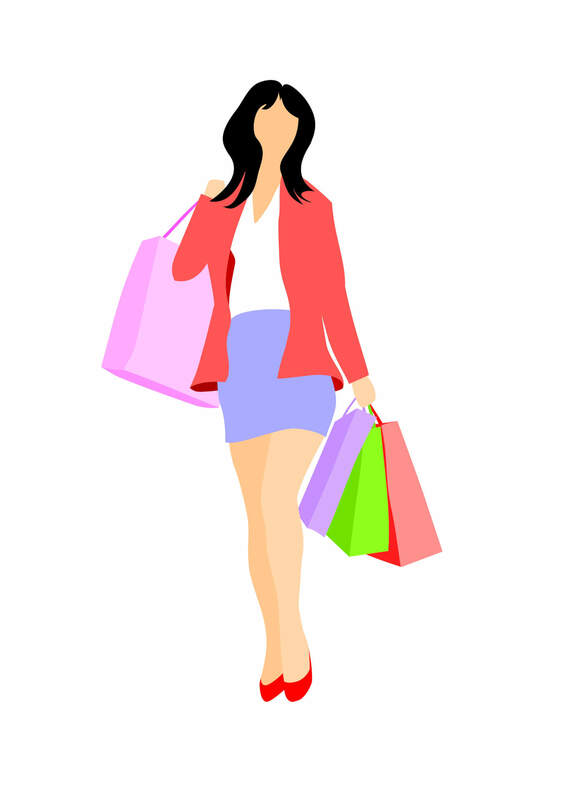 Yes, a recent survey by RJMetrics has shown that roughly 80% of all pinners are women, but seeing as women make the majority of household purchasing decisions, can you afford not to market to them? Sure, maybe you won’t reach many men on Pinterest (although they are there), but you will reach men’s wives, sisters, mothers, and girlfriends, who will spread the word about your business. Or maybe buy your product or service as a gift. Also worth noting: Pinterest users are more likely to trust a pin over something posted to Facebook or Twitter. We’re not saying that Pinterest should be the be-all and end-all of your marketing plan (far from it! ), but it’s a helpful and innovative way to keep your company in front of a certain key demographic. First things first, it’s worth noting that you should take some time to figure out whether Pinterest is right for your company. It’s a bit of a niche market that works best with visual media and tutorials, and there are certain topics—like “business”—that are noticeably absent from Pinterest categories (one of the reasons why Clarity doesn’t put a lot of eggs in the Pinterest basket). But if any of the following applies to you, Pinterest is definitely worth looking into. Creating a great pin will get people to click through to your site. And if they click through to your site, that creates more traffic. And more traffic creates a higher Google ranking (not to mention more customers). You sell a tangible product, especially a stylish, clever, or innovative one. Pinterest users love to hear of cool new products that they didn’t know they needed. Your website or blog is informational (tutorials, tips, life hacks, etc.). Clarity’s most popular pin to date is our tutorial on how to curve text on the photo editing site Picmonkey. Turns out, a LOT of other people were asking themselves the same question! You sell a service that can be represented visually, either through photos or infographics (pinners LOVE infographics!). People are already pinning you. Obviously, if your website has an underground Pinterest following, you’ll want to jump on the bandwagon. To see whether your website or blog has been pinned, type pinterest.com/source/[yourwebsite] into your browser’s search bar (for example: pinterest.com/source/iwantclarity.com) and you will see which pages have been pinned from your website to Pinterest, as well as who pinned them and what board they pinned it to. Valuable information, indeed. And if you haven’t been pinned yet, that doesn’t mean there’s no place for you, it may simply mean that pinners haven’t found you yet. If you already have a Pinterest account for personal use, make sure your business has a separate account. You can either create a “business only” account or convert your personal one for business use. Once you’re all set up, take the time to make your profile page as detailed as you can be. Constant Contact wrote a great article outlining the steps for creating the perfect Pinterest profile. Now you can get to pinnin’! Browse through the various categories (there are a lot!) to see which ones are the most applicable to your business. Follow pinners with related interests. Whenever they pin something, their pins will show up on your home page. Repin as needed. Search for a specific word or phrase (Pinterest’s “guided search” feature will suggest subcategories, but you aren’t obligated to use them). Create your own pin! This is will pull traffic back to your website, as opposed to pointing them to someone else’s. 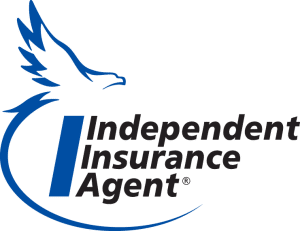 Start out with a great, hi-res image. Anything around 600×600 pixels is ideal. Use a photo editing software or infographic building tool to include important information, like article headlines, product prices, etc. A pin’s caption can be changed (or deleted) by the pinner, so make sure the image you create has all the necessary information built-in. I keep Pinterest in mind whenever I design one of our lovely blog images. Write a good caption for your pin and edit your image’s alt text (you can do this when adding the image to your web page or blog) to make sure it populates the Pinterest caption automatically. Keep it descriptive and relevant so your ideal audience will know to click on it (and what to expect when they do). Pin to your most relevant board so that board’s followers will get only the types of pins they signed up for. Once you get started on Pinterest, you may find it difficult to stop. (Don’t say we didn’t warn you.) Luckily, that means you’ll have the chance to learn all about Pinterest’s other fun features…and you may come up with a new way to use it. As long as you keep your audience in mind and present your business in the best possible light, you have a solid way to drive consistent traffic back to your website, which may bring more customers. Clarity Creative Group is a web design & internet marketing company located in beautiful Orlando, Florida. We found a coffee cake recipe on Pinterest just a few weeks ago. It called for 3 1/2 sticks of butter and was AMAZING.